A simple responsive layout that lets the images do the talking. 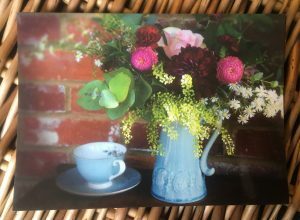 The website for home workshop-based Bedgebury Blooms is now live. 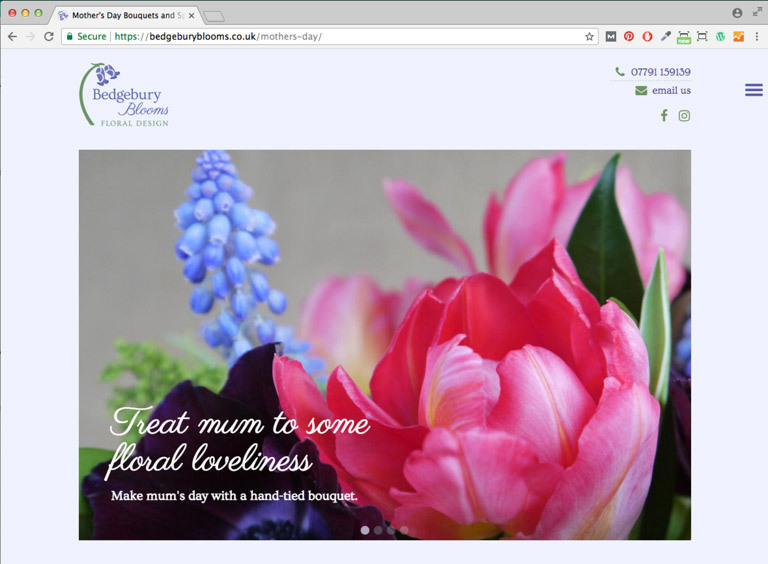 The project, to design and build a showcase type website for a local florist, was a real pleasure to do. 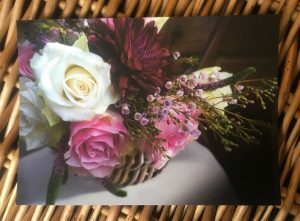 Nicola’s eye for colour in her floristry is superb and she wanted a website with a big focus on images. As the business is still young, the website has plenty of scope to develop and grow over the coming months. A Mailchimp campaign designed to match the branding helped get the word out to her new clients that the website was launched. One of the many benefits of designing and building websites for the WordPress platform is the flexibility to evolve and grow. As Slate Grey’s business offering has expanded and the team grown, the website’s colour palette has been refreshed, tying it in with the new vehicle livery. Several new pages have been added to the site, highlighting the growing range of services offered. 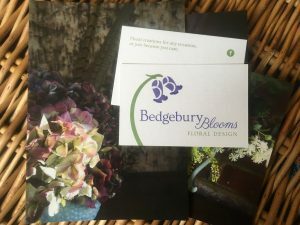 Nicola from Bedgebury Blooms was looking for a designer who could help her business take off on the right footing, and approached me after seeing some of the horticultural sector websites I had created for other clients. The first project was to design the logo, inspired by beautiful bluebell woodland a stone’s throw from her studio and with a vintage feel to the typography. 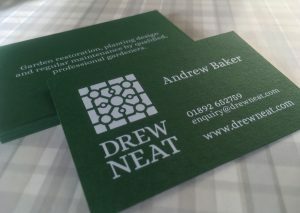 The design was then applied to business cards, printed on a high quality textured GF Smith paper. Nicola also needed something potential customers could take away as a reminder from her stall at a wedding fair and so a set of four postcards were created that could be kept or filled out and sent on, thus potentially expanding the reach. 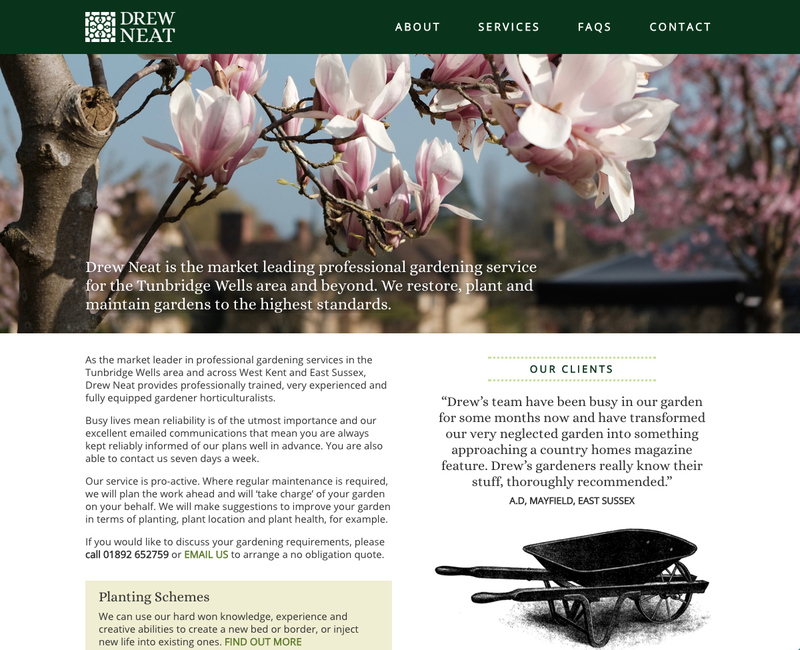 Richard at Slate Grey required a new logo and website design for his award-winning garden design & landscaping company that would help establish the profile of this flourishing new business. Having a great interest in horticulture and with clients in this sector, he felt confident I had a good understanding of his profession. Armed with a great brief from the client who had a good idea of the tone for the new identity, the first task was to design the logo. Richard wanted to be able to choose from a few options and when presented with them, was immediately drawn to one in particular. As is usually the case with designing a logo, it is the art of subtracting the essence of the idea and honing down to find a simplified form which still conveys the company ethos. As the logo was required to be reproduced in a multitude of materials from business cards to t-shirt embroidery, site boards to van livery; simplicity really was the key. 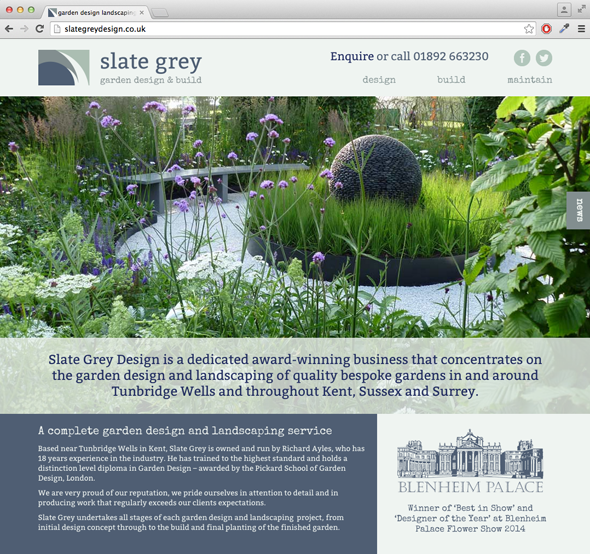 Taking inspiration from geometric forms in garden design the finished logo represents the three main services that Slate Grey offer. The holding rectangular area represents landscape, the circle represents design, and the leaf shape representing the planting. The website was also designed with this in mind. The design needed to be simple to use, aesthetically pleasing and act as a foil for the images. There are three main pages which highlight the services Slate Grey offer, plus a blog style page for news of current projects and other garden related matters. There is plenty of scope for the website to grow and develop alongside the business. Just as important as front-end design and development is concentration on great SEO. 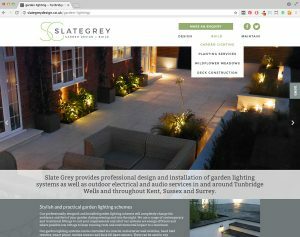 The website performs consistently well for both mobile and desktop searches in Google rankings and as a result has already gained new business for Slate Grey. a SE Asian plant, resembling bamboo. 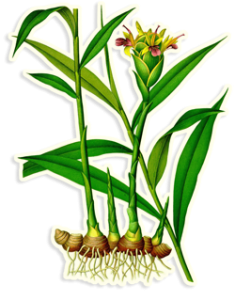 a hot, fragrant spice made from the rhizome of the plant Zingiber officinale, which may be chopped or powdered for cooking, preserved in syrup, or candied. [verb] gingered, to flavour with ginger. 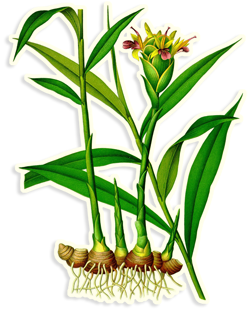 ginger up, to make more lively, adding a quality of energy or spiritedness. To add pep or spice up. 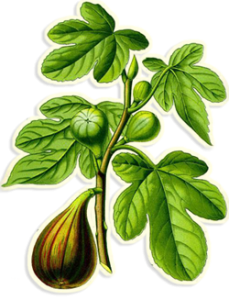 [noun] Ficus carica deciduous Old World fruiting tree or shrub (also fig tree), of the family Moraceae. a soft pear-shaped fruit with sweet dark flesh and many small seeds, eaten fresh or dried. [noun] phrase in full fig or in fine fig. dress or array: to appear at a party in full fig . Of smart appearance, especially appropriate to a particular occasion or profession. Best bib and tucker.